Nodus isn’t your average case maker. Everything the company produces is handmade from the finest materials, like vegetable-tanned Italian leather. It also makes gorgeous wallets, but the only smartphone it caters for is the iPhone. Cases for Apple’s smartphone account for most of Nodus’ sales. Every iPhone launch brings Nodus a spike in traffic, and it’s busy from September through Christmas fulfilling orders for Apple’s latest iPhone. Being one of the first to serve the newest model is imperative in its fight to get noticed and compete with bigger names. 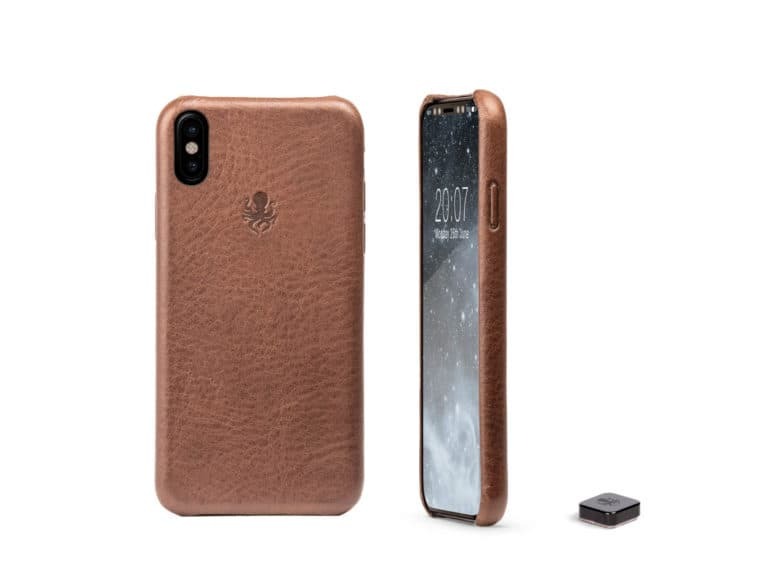 It’s no surprise, then, that Nodus is already working to make its Access and Shell cases compatible with iPhone 8. It is using CAD drawings obtained from its supply chain as a basis for its designs, and it is playing a risky game. Manufacturing cases for new devices requires investment. They must go through every stage of design and development before they even reach production. When it’s all based on iPhone rumors and leaks, there’s a chance all that will end up down the pan. Other companies learned this the hard way in the past. You may remember Cult of Mac teamed up with Hard Candy, another case maker, to bring you drawings of what was believed to be the iPhone 5 ahead of its official unveiling. Hard Candy made 50,000 cases for the device almost a year before it was announced. As it turned out, the drawings Hard Candy obtained weren’t even close to the iPhone 5’s final design, and every case it produced proved useless. It wasn’t long before Hard Candy was no more. But Nodus is being more careful. The company is confident the CAD drawings it obtained for iPhone 8 are accurate. It used them to design new cases — but it won’t start mass-production until the final design is revealed at an Apple event. “Until this point, we can’t be sure that our cases will fit the new phone,” Nodus founder Jack Spencer explained to us. “So we take pre-orders and aim to fulfill them as soon as possible after the announcement of the iPhone. Nodus can’t tell us how it obtains its CAD files, but it says they come from its supply chain in Asia. “We are frequently asking for up-to-date leaks of the new phones design as these leaks do change over time,” Spencer said. What Nodus can tell us is what those CAD files reveal about the iPhone 8. CAD files reveal iPhone 8 design? 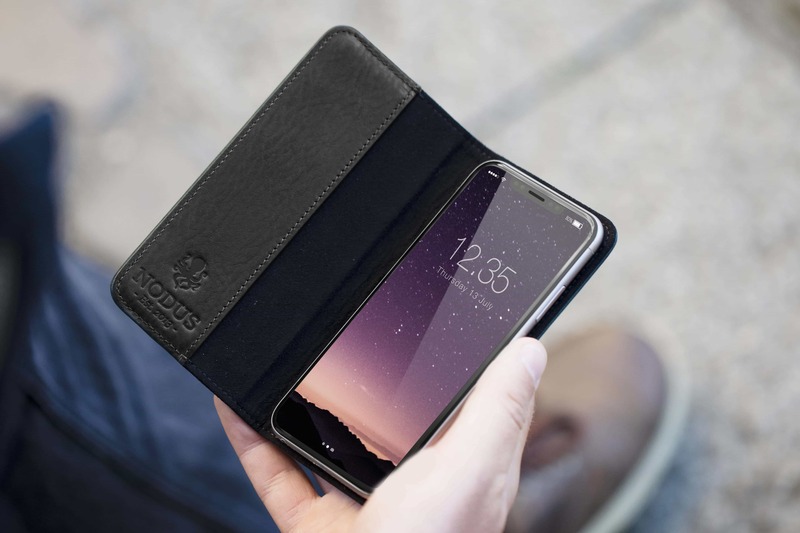 Nodus’ new Shell Case for iPhone 8. As expected, the device will come packing an edge-to-edge display that measures around 5.8 inches. Its bezels will be dramatically reduced to around 4mm on all sides, which makes them thicker than the Galaxy S8’s, but slimmer that its predecessors’. It’s thought Apple chose to leave them a little wider to prevent accidental input from thumbs and fingers as users hold the handset in their palms. But of course, they leave no room for a physical Home button, which will be removed entirely. Nodus’ information also confirms the device will have dual cameras, aligned vertically, as opposed to horizontally like they are on the iPhone 7 Plus. There’s no mention of a rear-facing Touch ID scanner, which could be embedded beneath the iPhone 8’s display. We’ll have to wait until Apple’s big iPhone 8 event this September to get confirmation of all this, but it certainly lines up with everything we’ve heard about the upgrade so far. Many questions remain unanswered, however, so there are plenty of surprises to look forward to.